Kevin Spacey has been spotted in Baltimore, where he gave a photographer a Domino’s pizza while wearing a hat reading “Retired since 2017.” As the Daily Mail and TMZ point out, the disgraced actor has been hiding out awaiting his trial for the sexual assault of a teenage boy in 2016. Spacey brought the Daily Mail photographer a Domino’s pizza and told him to “keep warm and have a happy New Year” while wearing a hat which seemed to reference to his departure from House of Cards last year. Spacey left the show amid allegations of sexual misconduct, which have continued since his removal from the show, with other victims coming forward since the initial claims. 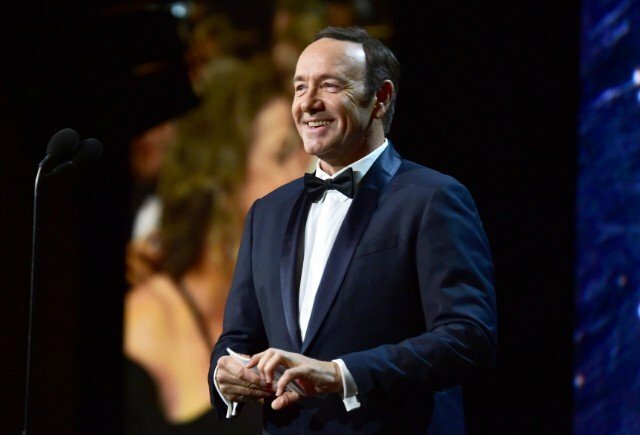 During his felony charge earlier this month for another account of sexual assault dating back to 2016, Spacey returned to the public eye with a bizarre video of him monologuing as his House of Cards character, claiming that the show’s fans want him back. The video prompted heated reactions on social media, where viewers interpreted it as a strange attempt to return to the show. Whether or not he ever actually willingly “retired,” the move continues Spacey’s run bizarre behavior since leaving House of Cards. Check out a few shots of the latest incident below.